Through our Greece Greatest Needs Fund, IOCC is supporting immediate basic needs for fire survivors like access to food. With our partner Apostoli, IOCC will distribute prepaid grocery cards to families affected by the fires, allowing them to purchase essential items like Greek-grown produce, dairy, and meat, as well as personal hygiene items, including soap and shampoo. Title: Mr. Ms. Mrs. Miss Mr. and Mrs. Dr. Dr. and Mrs. Dr. and Mr. Dr. and Dr. Rev. Rev. and Mrs. Deacon Rev. Dr. If you donate and have not already registered, you will receive periodic updates and communications from International Orthodox Christian Charities. Please know, you may opt-out at any time and if you'd like to manage your preferences, click here. IOCC's “Greece Greatest Needs Fund” will be used to support response efforts in the region affected by the recent fires. 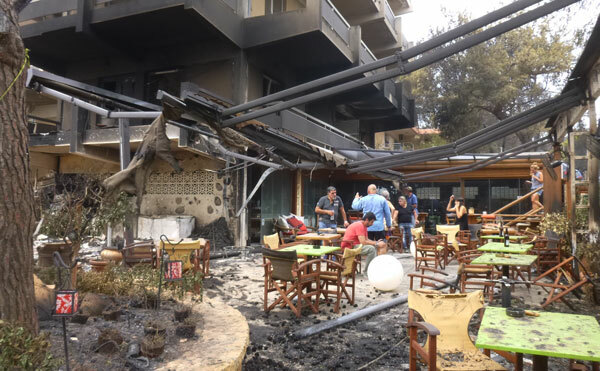 Should contributions to the “Greece Greatest Needs Fund” exceed the demand for services as a result of the fire, IOCC will apply your funds to IOCC’s overall work in Greece so that we may use the funds to support people in need through our project activities.